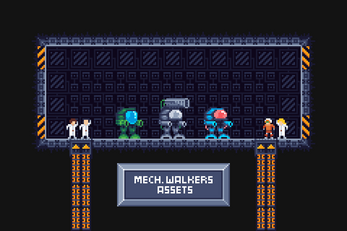 3 Mech Walkers with attack, run, idle, and death animations. An assortment of particle effects including explosions, projectiles, hit and firing effects. 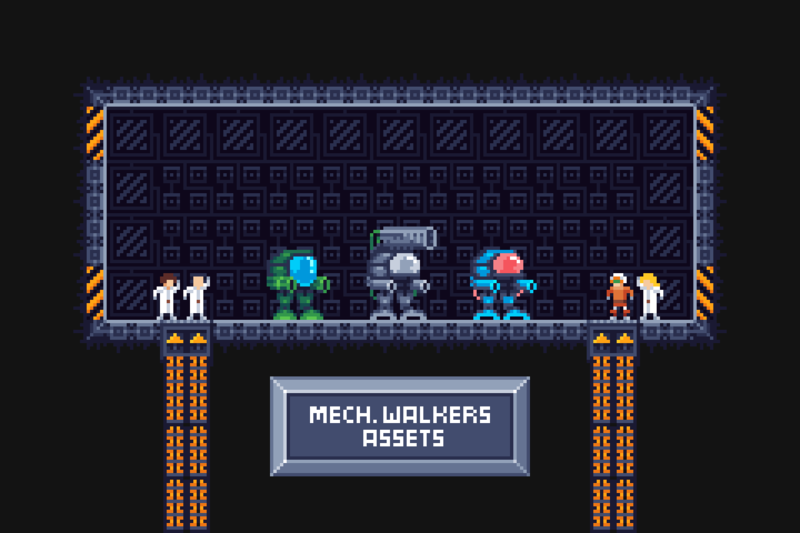 A pilot and 5 scientist sprites with idle animations, useful for a short cutscene. A few simple interior base tiles. I may update the assets if there's any interest. Feel free to use them however you'd like, and I'd love to see your project using them.